But if I have to eat Nutella any other way, this is my absolute favourite. 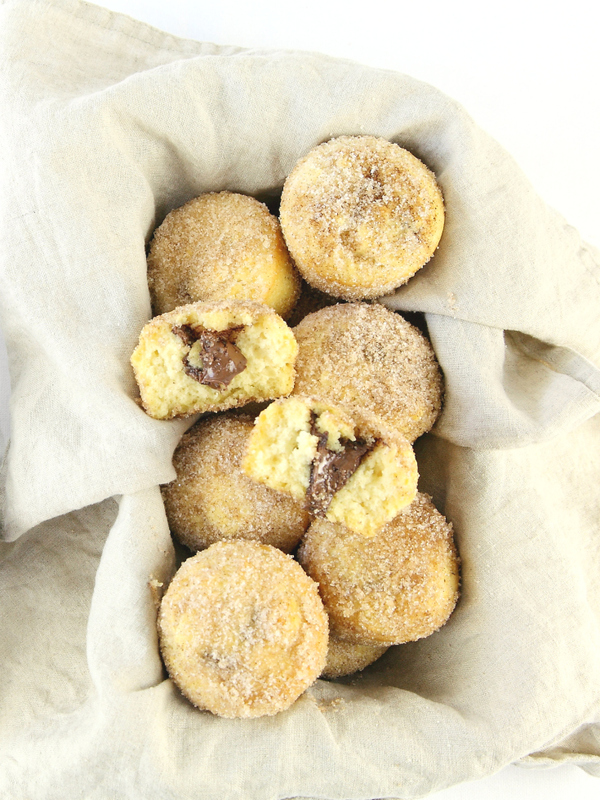 Baked, not fried, these cinnamon sugar donut muffins are a gem by themselves, but once you add in that hazelnut spread, it turns it into something pretty amazing! I bake these at night, and then just warm them up in the microwave for 15 -20 seconds before serving as a yummy breakfast. 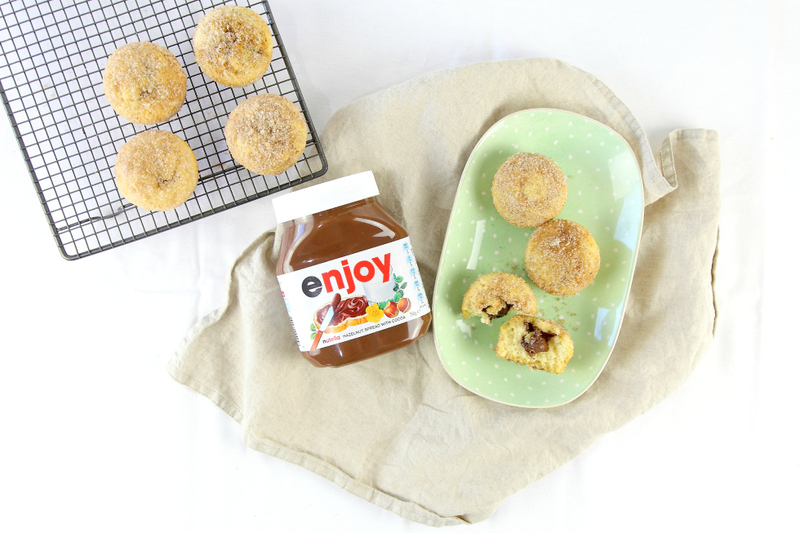 Spray muffin tins with nonstick cooking spray. In a large bowl, using an electric mixer on medium speed, beat the butter and sugar until blended and creamy, about 2 minutes. Beat in the egg, mixing until smooth and thick. Fill each muffin cup about 1/3 full. Add a small dollop of Nutella. Top with more batter. Cool the cupcakes for 5 minutes in the pan on a wire rack. Place the melted butter in a medium bowl. In another medium bowl, stir the sugar and cinnamon together. Carefully remove cupcakes from pan. Roll them in the melted butter, then in the cinnamon sugar to coat completely.